Desc: 14 karat yellow gold plated necklace with a dangle chain containing a freshwater pearl. 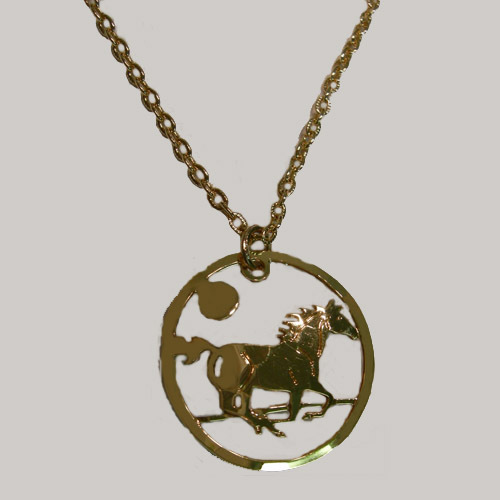 The pendant depicts a horse galloping under a full moon inside a circular outline and has a light hammered gold finish. 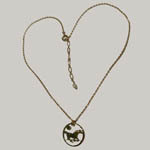 The dangle chain is two inches long and hangs from the spring ring clasp to lengthen the necklace. Also available in Rhodium plating and as earrings (contact us for details).